Enough With The Infighting! Remember WHY The Second Temple Was Destroyed -- AllFaith.com"
Remember WHY The Second Temple Was Destroyed. In his piece "Measure For Measure" the Chofetz Chaim reveals a deep and important truth for our day! How often do we hear people proclaim: The Temple will be rebuilt soon! Really? On what basis do people believe this? Certainly Rabbi Glick and the Temple Institute is doing exciting work! But are we as a people ready to receive this glorious gift? Are we the sort of Jews HaShem might grant this blessing? A blessing that generations of Jews far more pious that us have d`reamed and prayed for! 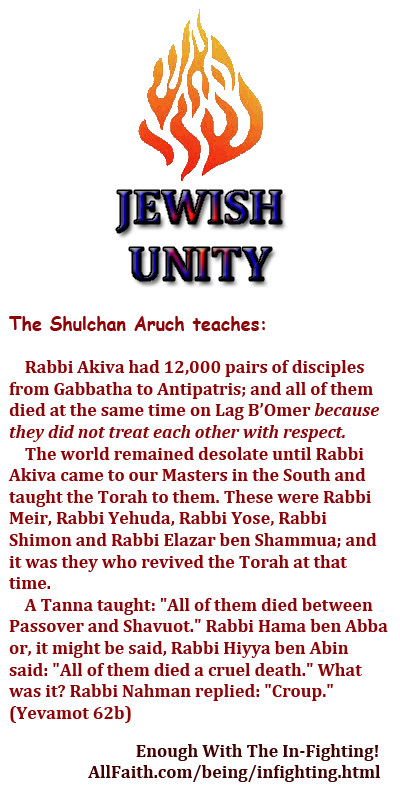 Judaism has seldom if ever been more divided that it is today! Our many sects and movements routinely commit lashon hara, Jew against Jew, Orthodox against Reform Reform again the Chassidim, the Chassidim against other Chassidim... There is not end to these offenses! The vast majority of Diaspora rabbis are rejected as rabbis by the Orthodox and hence the vast majority of Ger Tzadikim (i.e. the righteous converts) are rejected as even being Jewish! 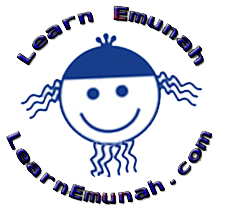 A godly man I have been assisting online is now preparing for his conversion mikveh. He told me that a rabbi recently asked who he was converting through. When he answered, the rabbi said "OK, as long as you are not going through Chabad I can probably accept you"! Really? Chabad! An institution that has arguably done more for our people than any other in the post-Holocaust world! And yet rather than offering the Truth to those who are seeking they are pushed away! This is not right! This is not what a righteous people who want HaMashiach to come, who want the Beit HaMikdash rebuilt, does! These are the sorts of acts that lead to the destruction of the Second Temple! Our Sages state: "Jerusalem was destroyed only because its inhabitants limited their decisions to the [letter of the] law of Torah" (Bava Metzia 30b). This seems difficult, for Scripture records many sins of which that generation was guilty. It appears that Heaven may be judging us today. Our sins are similar to theirs.